Black-capped Chickadee at backyard feeder, Oct. 2014. I highlight the Black-capped Chickadee as the second in a series of photos of our common backyard birds here in New England. This series of photos will focus on the birds we commonly see at our feeders. 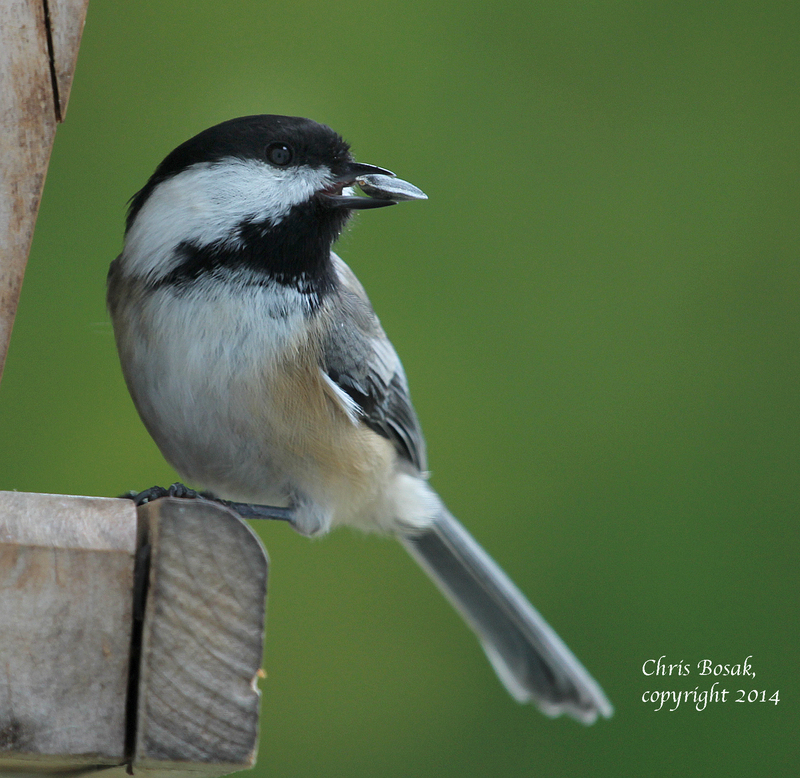 Can you ever see enough chickadee photos? This entry was posted in backyard birding, chris bosak nature photographer, landscaping for birds and tagged backyard bird feeding, Black-capped Chickadee, Black-capped Chickadee at feeder, chickadee with seed in bill, Chris Bosak by Chris Bosak. Bookmark the permalink.